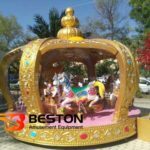 Children’s amusement equipment super swing rides with 24 people which is made by Beston Amusement Equipment are hot sale in Pakistan market. 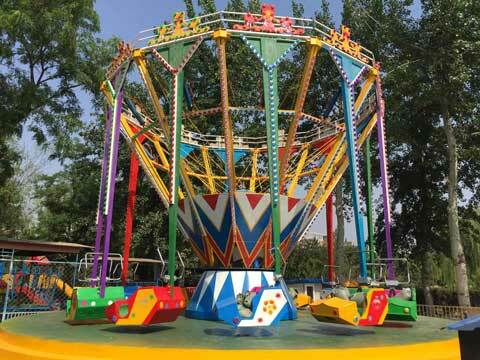 The center column of the super swing ride is narrow and wide, the narrow can play a good fixed role, the upper width increases the angle of the arm hanging, improve the fun of play It is a new type of rotating amusement equipment equipment that combines safety and fun. The upper part of the center column is equipped with a sliding track, which is connected by national standard steel. The track slides to drive the arm to rotate. When the arm rotates, it will slowly rise, driving the cockpit to rotate around the center column. 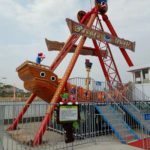 This Samsung amusement equipment is super swing, full of fun, and the pillars and arms are designed safely, which is your ideal choice. 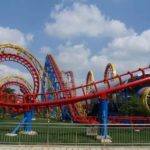 What are the investment advantages of Super Swing amusement equipment? The super swing has a lot of investment advantages in this amusement device. First of all, it breaks the limitation of the traditional swing in the gameplay. It is no longer just a simple swing back and forth, but a group of swings together to make a whole swing, and each swinging swings, so The gameplay is not only fun, but also has a certain irritating effect. 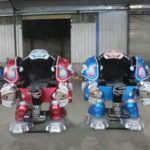 Secondly, the structure of each arm, the periphery of the base and the top of the base are covered with colored LED lights. 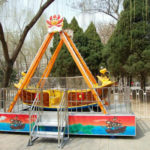 When the equipment is running at night, it will make the Zhengtai equipment look beautiful and full of mysterious colors, which can attract The eyes of all the tourists in the playground, in the end, its safety performance is very high, not only suitable for children in their teens, but also suitable for some family members to ride together. 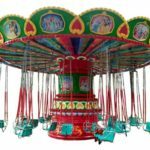 Since many investors buy custom-made super swings, the price of the equipment is different according to the actual customization needs of the customers, but the approximate price range of the super swing amusement equipment ranges from 12 to 160,000, which is slightly more expensive. The standard will be cheaper, and investors can decide according to their actual needs and funding situation. Working principle: The main body revolves, the cockpit rotates, and the passenger can operate the center carousel by himself to control the rotation of the cockpit. Product material: FRP, high quality steel, endurance board. 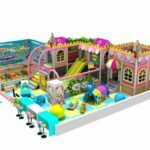 Applicable places: squares, parks, playgrounds, etc. Product advantages: using high-quality steel and standard accessories produced by regular manufacturers, the durability and low failure rate are low. All FRP products are made of automobile paint, and the paint surface is smooth and delicate. The equipment is meticulous, safe and reliable, and is well received by customers. After-sales service: Three packs of products for one year, lifetime maintenance (except for wearing parts). Beston’s super-swing overall shape is not in control, the white style is very unique, the seat uses a new FRP raw material, fully taking into account the safety of tourists, the double-row seats of colleagues are also suitable for the timid needs of tourists Or a couple to ride. The steel used in the super swing equipment arm and other parts is produced by the high-strength national standard steel produced by the regular factory and the high-quality FRP. The advantage of this kind of raw material is that it can make the equipment durable and the failure rate is low. 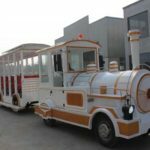 It is said that the work of the whole equipment is very exquisite, safe and reliable, and is highly praised by customers.